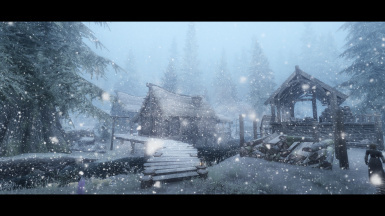 Snowfall ENB is the first weather mod to employ realtime snow cover. Adapted from Rudy ENB NLA. Made for NLVA. 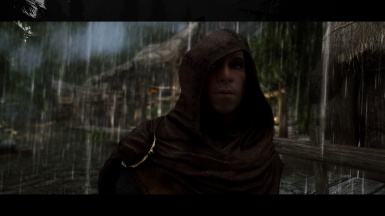 Frost and Rain Lens Effects for NLVA and SNOWFALL ENB. Free to use with Credit so long as you share your mod with the same permissions. 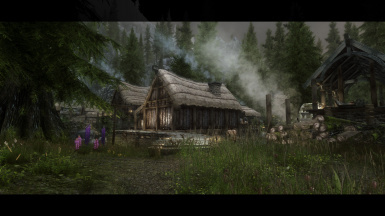 A fantasy preset adapted from Rudy ENB NLA. Prepare for a colder, harsher Skyrim. "Today is a revolutionary day. 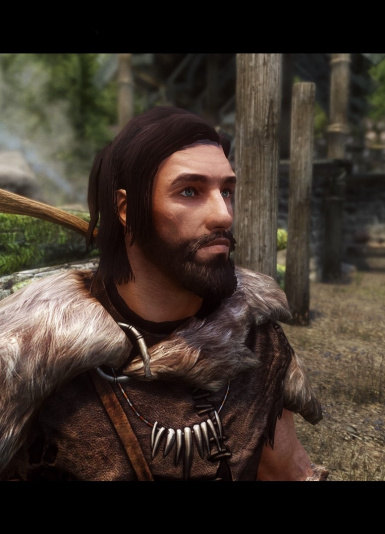 One of the biggest dilemmas of Skyrim modding has finally been solved." 1. Install Vivid Weathers, deactivate/hide the esp. 3. 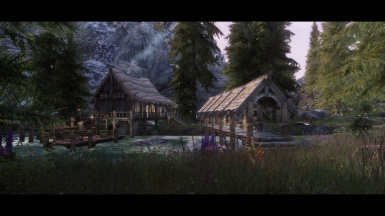 Install SnowFall V1.1 via a mod manager, and empty the ENB contents into the Skyrim directory. 2. 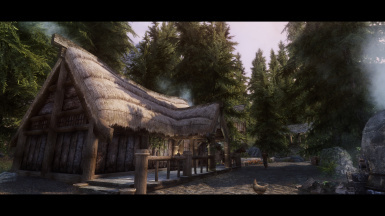 Install SnowFall Weathers and move ENB files into main skyrim directory. Install the latest ENB binaries, and configure you ENBLocal.ini. Note that NLVA is no longer required as it is integrated. 3. 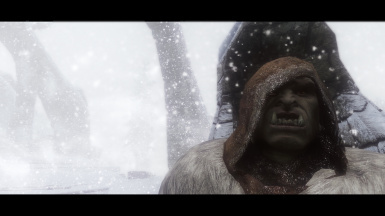 Make sure the SnowFall Weathers.esp loads after audio mods and lighting mods. 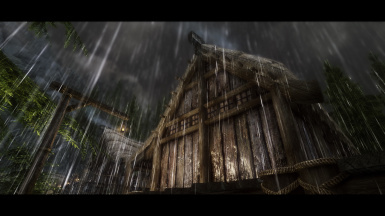 JawZ has given permission for me to include the light record of ELE in SnowFall Weathers.esp, so now your lights will be the right colors if you play with or without lighting mods. ELE and RS are still recommended. 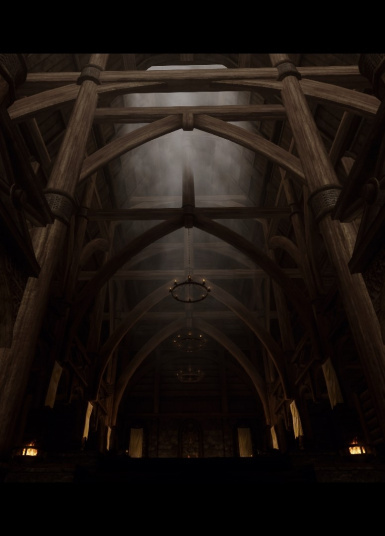 If you find everything is too dark, don't use Relighting Skyrim or the ELFX Enhancer. 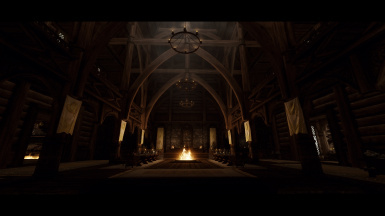 If you don't like very dark interiors, don't use a lighting mod. This ENB already does what most lighting mods do through increased point lighting and decreased ambient lighting. 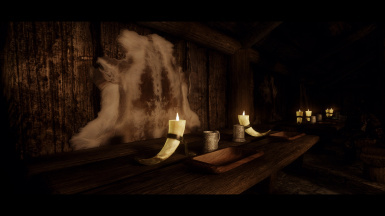 This ENB does not require any interior lighting mods, but was designed with Relighting Skyrim + ELE in mind. ELFX and RLO are technically compatible. 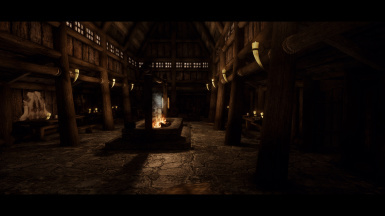 It's up to you to decide which lighting mod you prefer, if any. 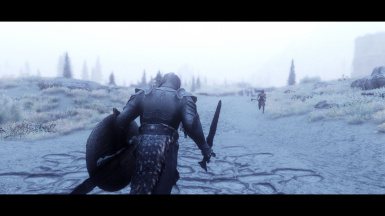 The frost weathers will not take effect with other weather mods or ENB's. Not compatible with Heavenly or Dark Fantasy Weather Systems, as Glacier NLVA already modifies weather frequency to increase weather variety and allow for frost weathers to occur. I would like to thank the many authors that have contributed to this ENB and NLVA. Be sure to check out their work and endorse!